or, if for some reason the image isn’t showing you can click here to download. This chapter is part of a complete guide to upgrading your MacBook Pro in five easy steps. 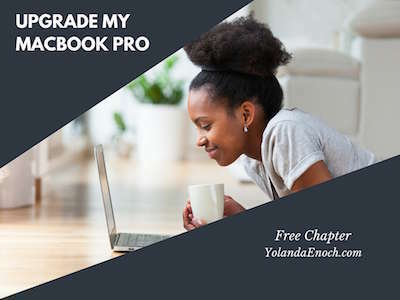 The chapter attached will help you buy a solid-state drive to replace your current hard drive in your MacBook Pro. To learn more about the full guide, click here. I didn’t realize how slow my MacBook was until I became a consultant in 2014. Before that I had a traditional 9-5 job, so I used my Mac for a few hours each day. It’s slowness wasn’t that obvious. But once I started using my Mac for 10+ hours every day, it became very obvious. via GIPHYI thought about taking it to the Genius Bar and having them do the upgrades for me. But Apple products are more expensive and they would have my computer for a few days. It’s tough being without a laptop for ONE day when you work for yourself, let alone a few. I was lucky. A friend was able to fixed it. I told him how slow my Mac was running. And he suggested I upgrade to a solid-state drive and increase the memory. Both were easy to do and were inexpensive (especially compared to buying a new MacBook). 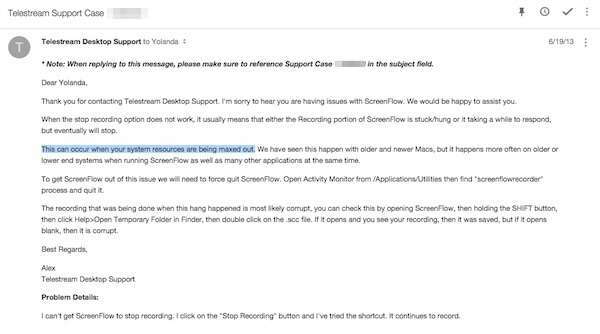 ScreenFlow costs $100. And for two years I couldn't use it. Since the upgrades, I can and am using it to edit videos! 3) I now have a full backup of my computer. If my hard drive dies, it won't be a pain to get up and running. All iTunes purchases and settings synced with my iTunes account. In the event of a drive failure, I could download all these things to a new hard drive. But this list doesn’t include everything on my hard drive. All the applications, the operating system, etc. I would have to reinstall. Including re-downloading all of the items above. Needless to say, I’m relieved knowing I have a full backup of my hard drive. Getting back up and running if my hard drive failed will be less disruptive. In the end, I’m pleased with how fast my MacBook Pro performs. And it didn’t take a trip to the Apple Genius Bar to do these upgrades. If you’re ready to upgrade your MacBook Pro, check out my step-by-step guide.